We could all stand to take some time out of our day and consider larger issues. 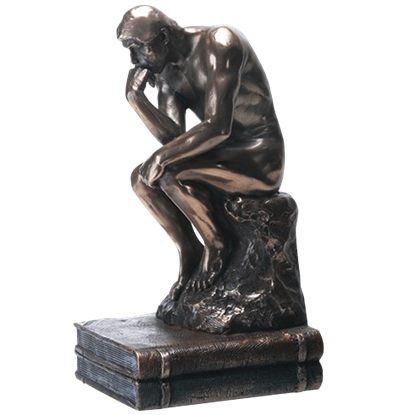 Allow the Bronze Thinker Statue to be your reminder. This item is based on the original sculpture by Auguste Rodin and will be easily recognized by guests. 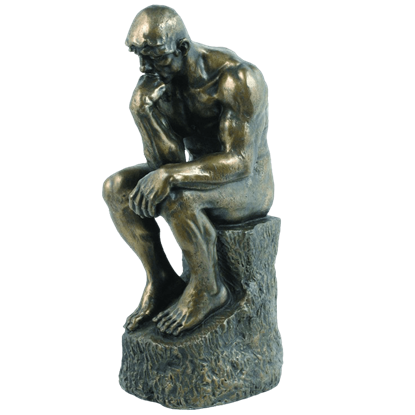 Often used to represent philosophy, the Bronze Thinker Statue depicts a man lost in deep, meditative contemplation. The statue was first cast in 1902, and it has been re-cast and recreated several times through the years. Leonardo Da Vinci is widely considered to be one of the greatest thinkers of all time, possessing unrivaled genius in his day. 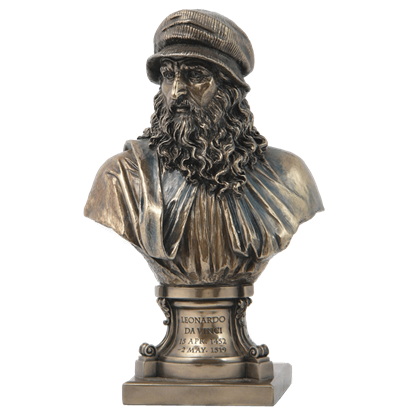 This Leonardo Da Vinci Bust depicts this great man and pays homage to his intellect and his legacy. Many great rulers have inspired statues in their honor. One such ruler hails from Russia. 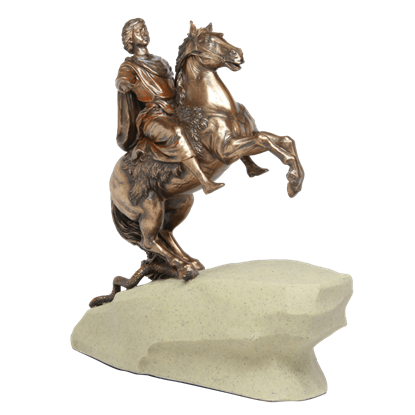 Originally named Pyotr Alexeyevich Romanov, Peter the Great grew into his nom de gare, and is depicted in this Peter the Great Statue.